Home / Blog / Raising Awareness / Rare Diseases Are Not Rare! This is a test of the MdDS broadcasting system. 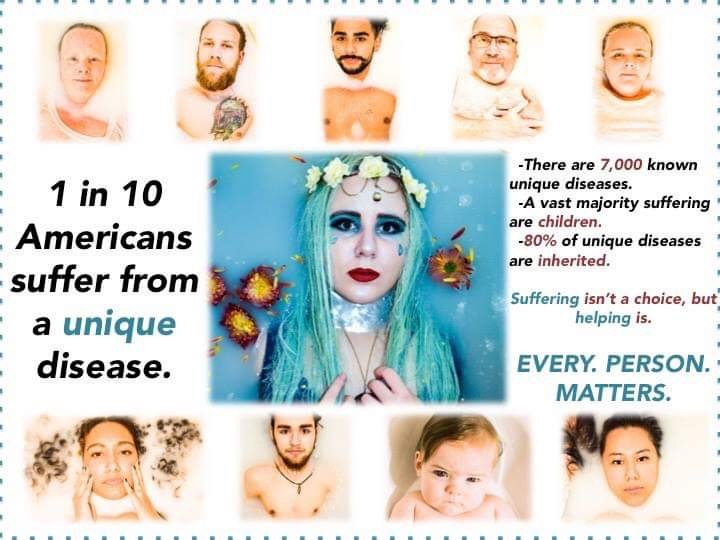 1 in 10 Americans has a rare disease or disorder. Globally, the figure is 350 million. Rare diseases are not rare! Here are a few submissions by MdDS warriors to the National Center for Advancing Translational Sciences (NCATS)​ “Rare Diseases Are Not Rare!” competition, which challenged individuals to use social media or art to effectively communicate and educate people about rare diseases. Hello This Is Me, is an imploring poem by Crystal Beard that will leave you with lingering thoughts and imagery. It first appeared on the MdDS Foundation blog on Monday, November 12, 2018. Life Raft, a story-telling booklet by Kimberly Warner, offers an intimate and honest look at what it’s like to live with a rare, chronic disorder. Take the journey from discovery to building a life raft… filled with cats…by visiting Kimberley’s website www.liferaftmdds.com. Miranda McComber’s message is for MdDS warriors and every other 1-in-10 suffering with a rare condition. She wants you to know, “We all deserve the best quality of life.” Every. Person. Matters. Was just diagnosed yesterday, but have been googling it for the last few weeks. Feeling devastated at the moment as I am struggling to function. Can’t even imagine feeling like this indefinitely. Three months of symptoms is three too many months. Has vestibular PT helped anyone? Denise, we understand how you feel and highly recommend joining MdDS Friends, our private support group on Facebook. There you will find caring members from over 60 countries with many experiences to share. You can ask them questions but you may find many answers simply by using the Search box there. Vestibular therapy is a popular topic.